The Jeep Compass is back for 2019 and its full of new ways to feel the freedom of the great outdoors. It comes fully equipped with a 2.4L I4 MultiAir engine that can put out up to 180 horsepower. You’ll also save at the pump, because the Compass can deliver up to 31 MPG on the highway. At Boerne Dodge Chrysler Jeep Ram, we’re always ready to take you out for a quick and easy test drive, so why not stop by today? Let’s review what makes the 2019 Jeep Compass an incredibly powerful and fun to drive performance vehicle. It doesn’t matter if you’re in the city or out on the trail, the 2019 Compass has a sleek yet rugged appearance that’s always a welcome sight. Jeep’s legendary seven slot grille and available contrast two-tone color scheme create a timeless look. 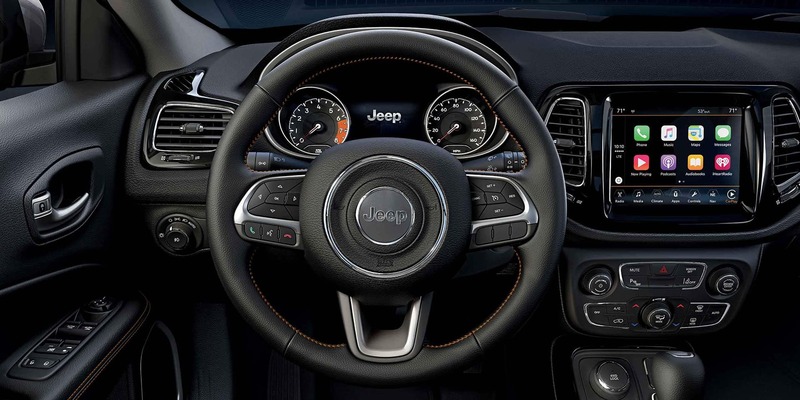 When you aren’t admiring its style, you’ll marvel at the safety features that Jeep’s designers managed to build into the new Compass. A helpful ParkView rear backup camera is included standard on every vehicle, while available blind spot monitoring and rear cross traffic alert systems ensure you stay confident on the road. 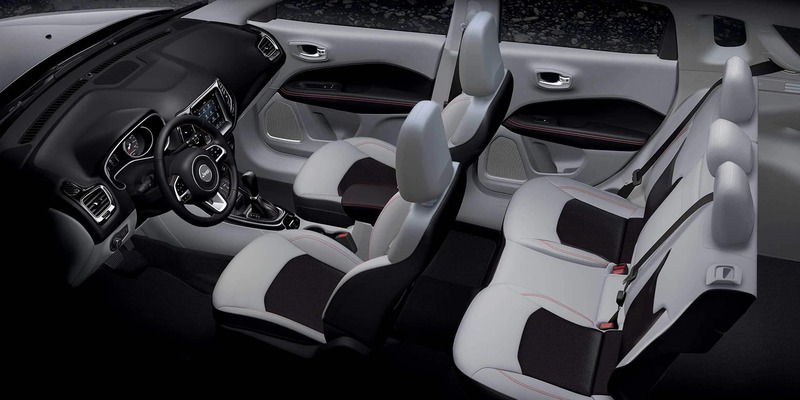 Stepping aboard the 2019 Compass you’ll find an interior that’s as stylish as it is practical. The available dual pane panoramic sunroof gives passengers an unparalleled view of the great outdoors, while the optional heated steering wheel can keep the driver’s hands comfortable in the any weather. Standard 60/40 split folding rear seats let you pack in even more cargo when you aren’t carrying any passengers in the back. In fact, with seats reclined you can access up to 59.8 cubic feet of storage space. Customize your Jeep Compass with one of five bold package models. The first is the Compass Sport which gets things moving with stunning 16’ painted tech silver aluminum wheels and Uconnect 4 with 7-inch screen and Android Auto and Apple CarPlay compatibility. The Compass Latitude model can be equipped with the available All Weather Group package. Stay ready for all conditions with an optional heated steering wheel and heated front seats. Next in line is the Altitude trim which benefits from an available contrast black roof, which gives the Compass a premium and contemporary flair. The Compass Limited incorporates the finest luxury features like heated and leather trimmed front seats and heated power exterior mirrors. Last but not least is the Compass Trailhawk, which boasts impressive off road all wheel drive capability, a leather trimmed interior with red accents, and bold contrast ruby red tow hooks. 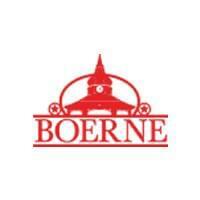 People from all over have discovered the difference when shopping at Boerne Dodge Chrysler Jeep Ram. 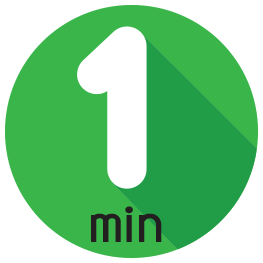 Whether you’re travelling from San Antonio, Bandera, New Braunfels, or Kerrville you’re only moments away from our full service dealership. We hope you can see why we’re so excited about the practical and sporty new Compass. The 2019 Compass is for sale now at Boerne Dodge Chrysler Jeep Ram with a low starting price of just $21,595.